Haglund, L., & Stryker, R. S. (2015). Closing the Rights Gap: From Human RIghts to Social Transformation, edited by LaDawn Haglund and Robin Stryker . Berkeley, California: University of California Press. Stryker, R. S., & Stryker, S. (2016). Is Mead's Framework Still Sound?. In New Directions in Identity Theory and Research, edited by Jan E. stets and Richard T. Serpe (pp 31-57). Oxford, UK: Oxford University Press. This is a volume edited by Jan Stets and Richard Serpe, including revised versions of papers presented at an invited conference on Identity, held at the University of California Riverside, November 11-13, 2014. The book is now published. Stryker, R. S., & Stryker, S. (2016). Is Mead's Framework Still Sound?. In New Directions in Identity Theory and Research, edited by R. Serpe and J. Stets (pp 31-57). Oxford University Press. Stryker, R. S., & Haglund, L. (2015). Economic, Social and Cultural Rights: Emerging Possibilities for Social Transformation. In In Closing the Rights Gap: From Human RIghts to Social Transformation, edited by LaDawn Haglund and Robin Stryker (pp 319-354). Berkeley, California: University of California Press. Stryker, R., & Haglund, L. (2015). Making Sense of the Complex and Multiple Pathways by which Rights are Realized. In In Closing the Rights Gap: From Human RIghts to Social Transformation, edited by LaDawn Haglund and Robin Stryker (pp 1-26). Berkeley, California: University of California Press. Danielson, J. T., & Stryker, R. S. (2014). Cultural Influences on Social Policy Development. In The Oxford Handbook of US Social Policy . Oxford UK: Oxford University Press. Stryker, R. S. (2013). Mechanisms of Legal Effect: Perspectives from the Law and Society Tradition. In Public Health Law Research: Theory and Method (pp 89-108). New York: John Wiley & Sons. Stryker, R. S., Eliason, S. R., Tranby, E., & Hamilton, W. (2011). Family Policies, Education and Female Labor Market Participation in Advanced Capitalist Democracies. In Social Policy in the Smaller EU Member States . Stryker, R. S., Eliason, S., Tranby, E., & Hamilton, W. (2012). Family Policies, Education and Female Labor market Participation in Advanced Capitaolist Economies. In Social Policy in the Smaller EU Member States (pp 37-57). New York and Oxford: Berghan Books. Stryker, R. S. (2011). L'intermediation scientifique dans la mise en oeuvre des lois anti-discriminations americaines. In Droit et Regulation des activites economiques: perpectives scientifiques et institutionalistes (pp 183-202). Paris: Fondation Maison des Sciences de L'Homme et Reseau European Droit et Societe. (English translation -- the Mediation of American Anti-Discrimiantion Law by Industrial Psychologists)Research Collection edited by J. Pelisse, T. Delpeuch and C. Bessy. Eliason, S., Stryker, R. S., & Tranby, E. (2008). The Welfare State, Family Policies and Women's Labor Market Participation: Complementary Fuzzy Set and Compliers' Average Causal Effects Analyses. In Method and Substance in MacroComparative Analyss, ed. L. Kenworthy and A. Hicks (pp 135-195). Palgrave-MacMillan. Stryker, R. S., & Pedriana, N. (2017). From Legal Doctrine to Social Transformation? Comparing US Voting Rights, Equal Employment Opportunity and Fair Housing Legislation. American Journal of Sociology , 123(1), 86-135. Equal co-authorship. This article has a new title -- the old title was "Effects-based Civil Rights Law." Nick and I were asked to do a second revision of this article in 2016. We did so and the article was then accepted for publication. Stryker, R. S., Reynolds-Stenson, H., & Frederico, K. (2017). Family Responsibilities Discrimination, HR Work-Family Discourse and Organizational Mediation of US Civil Rights Law. Science-Po LIEPP (Laboratoire Interdisciplinaire d’Évaluation des Politiques Publiques), Public Policy Series: Axe -Discriminations et Inégalités Sociales- . In spring, 2016, we received a Revise and Resubmit from Social Forces. We did substantial additional analyses and I rewrote the entire paper, providing a much more substantial theoretical framing. We revised the order of authorship to reflect the fact that I did all of the rewriting and designed the additional analyses. We also retitled the paper from what it had been on the first submission in 2015, to a new title that reflected our substantial theoretical and empirical revision. In summer, 2017 Social Forces rejected the paper but in the meantime, Sciences-Po LIEPP indicated they wanted to review it for publication in their Public Policy Series. They reviewed it in spring 2017 (the review was not blind because the reason they requested the paper was that I had delivered a presentation on it when I was a visiting professor there in summer, 2016) and accepted it for publication.I also am now doing another revision of this paper for peer review journal submission in the US. I probably will send it to Law & Society Review, but I may send it back to Social Forces because the one second round review that probably generated the rejected was seriously flawed. Still the two positive reviews made useful additional suggestions for revision and I am revising according to these suggestions. This is a revised version of our NCA paper that won a "top paper in Political Communication" award in 2014. We resubmitted this paper to Communication Monographs on December 30, 2015, and in April, 2016 the paper was accepted for publication. It was first published online on July 4, 2016. Stryker, R. S., & Massaro, T. M. (2012). Freedom of Speech, Liberal Democracy and Emerging Evidence on Civility and Effective Democratic Engagement. Arizona Law Review . Stryker, R. S., Docka-Filipek, D., & Wald, P. (2012). Employment Discrimination Law and Industrial Psychology: Social Science as Social Authority and the Co-Production of Law and Science. Law and Social Inquiry , 37(4), 771-814. Eliason, S., & Stryker, R. S. (2009). Goodness of Fit Tests and Descriptive Measures in Fuzzy Set Analysis. Sociological Methods and Research , 38, 102-146. Stryker, R. S., & Wald, P. (2009). Redefining Compassion to Reform Welfare: How Supporters of 1990s US Federal Welfare Reform Aimed for the Moral High Ground. Social Politics: International Studies in Gender, State and Society , 4(16), 519-557. Stryker, R. S. (2017, December 11-12). Stryker Commentary on Graduate Student Research Papers . Graduate Student Working Conference on Law and Society. Maurice Halbwachs Center, Paris 75014, France: PSL Research University Paris (CNRS, ENS, EHESS, UMR 90, Liora Israel, Faculty Coordinator), University of California-Berkeley and Northwestern University. Graduate students from Northwestern, UC-Berkeley and from French universities submitted papers to a competition for selection to this conference. It was a two day conference, in which each student selected presented his/her work and received extensive commentary delivered orally and in writing from invited faculty commentators. Stryker, R. S. (2017, Decenber 8). Stryker Commentary on Working Law, and Rights on Trial . French "Book Launch" for Working Law, by Lauren Edelman, and Rights on Trial, by Ellen Berrey, Robert Nelson and Laura Beth Nielson. Maurice Halbwachs Center, Paris, France 75014: EHESS, CNRS, ENS, Sciences-Po, Paris, organized by Liora Israel. Stryker, R. S. (2017, June 21). Author Meets Reader, Working Law by Lauren B. Edelman, Remarks by Robin Stryker . Law and Society Annual Meeting. Mexico City, Mexico: Law and Society Association. In addition to providing a discussion for this panel "Author Meets Reader" session, I organized and presided over the session and recruited all of the panelists for it. Stryker, R. S. (2017, March 16). Rights in Action: Symbols and Substance: Commentary on “Going by the Symbols: How Organizations, Courts and Regulators Undermine Legal Rights,” . Invited discussant for Kagan Lecture delivered by Lauren B. Edelman. Berkeley, California: Jurisprudence and Public Policy Program, Boalt Law School, University of California-Berkeley. The Kagan lecture and my and another scholar's discussion are to be published in the journal Regulation and Governance. Stryker, R. S. (2017, May 8). Law, Social Science, Legal and Social Change . CASBS (Center for Advanced Studies in the Behavioral Sciences) Fellows Talk. Stanford, California: Center for Advanced Studies in the Behavioral Sciences, Stanford University. Stryker, R. S. (2016, April 15). Are You a 'Civil-utionary?' . AKD Banquet and Awards Ceremony, Kent State University. Kent, Ohio: Kent State AKD. Stryker, R. S. (2016, April 15). From Judicial Doctrine to Social Transformation? Comparing US Voting Rights, Equal Employment Opportunity and Fair Housing Legislation" . Research Lecture, Department of Sociology, Kent State University. Kent State University, Kent, Ohio: Department of Sociology, Kent State University. Stryker, R. S. (2016, June). Family Responsibilities Discrimination and the Transformation of Meaning Across Overlapping Organizational Fields . Annual Meeting of the Society for the Advancement of Socio-economics. Berkeley, California: SASE (Society for the Advancement of Socio-Economics). Stryker, R. S. (2016, March 14). From Judicial Doctrine to Social Transformation: Comparing US Voting Rights, Equal Employment Opportunity and Fair Housing Legislation" . Center for Law & Society Seminar Series. Center for Law & Society, Boalt Law School, University of California Berkeley, Berkeley, CA: Center for Law & Society, UC-Berkeley. Stryker, R. S. (2016, May 23). From Legal Doctrine to Social Transformation: Comparing US Voting Rights, Equal Employment Opportunity and Fair Housing Legislation" . Seminar with Robin Stryker, organized by the Discrimination and Social Inequalities Research Group of LIEPP (Laboratory for Interdisciplinary Evaluation of Social Policies) and Observatoire sociologiques du changement (OSC). 254 Boulevard St. Germain, Paris, France: Sciences-Po, LiEPP and Sciences-Po, OSC. Stryker, R. S. (2016, November 15). Political Incivility and Political Dysfunction in US Electoral Politics . CASBS (Center for Advanced Study in the Behavioral Sciences) Election Day Mini-Conference. Center for Advanced Study in the Behavioral Sciences (CASBS) Stanford University. Stryker, R. S. (2015, August). Invited Critic, Author Meets Critics on Sandra Levitsky's "Why There is No Political Demand for New American Social Welfare Rights" . American Sociological Association Annual Meeting. Chicago, Illinois: American Sociological Association. Session organized by Brian Steensland, Indiana University. Stryker, R. S. (2015, January 9). Invited Presentation: Lessons From My Research on Applications of the Social and Behavioral Sciences in Law and Policy . National Research Council Roundtable on Application of the Social and Behavioral Sciences, Workshop No. 1. Washington DC: National Academy of Sciences. Brief invited presentation to help orient work of the Roundtable. Stryker, R. S. (2015, June 9). From Judicial Doctrine to Social Transformation? Comparing US Voting Rights, Equal Employment Opportunity and Fair Housing Legislation . Invited Lecture, CSO-Sciences-Po, Paris, France. Paris, France: Center for the Sociology of Organizations (CSO), Sciences-Po, Paris, France. Stryker, R. S. (2015, March 3-5). Why Don't They Get it? Communicating Science to the Public . University and Industry Consortium. Yuma, Arizona: University and Industry Consortium and University of Arizona. Stryker, R. S. (2015, May-June). Invited Consultant for Emprical Methods for Legal Research, Methods Cafe: Comparative and Historical Methods . Law & Society Association Annual Meeting. Seattle, Washington: Law & Society Associationb. Methods Café is an annual event at the LSA and I have been doing comparative and historical methods since the advent of this event. I host a roundtable, to which people come for advice on their research projects. So I essentially serve in the role of consultant. Stryker, R. S. (2015, May-June). Invited Critic, Author meets Critics on Sandra Levitsky's "Why There is No Political Demand for New American Social Welfare Rights" . Law & Society Association Annual Meeting. Seattle, Washington: Law & Society Association. Stryker, R. S. (2015, May-June). Invited Discussant, "Non-Appropriation of the Legal Category of Discrimination: The Case of France" . Law & Society Associatio Annual Meeting. Seattle, Washington: Law & Society Association. Stryker, R. S. (2015, November). The Materiality of Rights: Realization of Rights Amidst Social Constraints . Invited, Conference on a New Politics of Human Rights: Crossing Disciplines, Regions and Issues. Madison, Wisconsin: Human Rights Program, University of Wisconsin. Stryker, R. S., Conway, B., & Danielson, J. T. (2015, September). Who is More Tolerant of Political Incivility? The Role of Gender, Political Partisanship and Media Use . American Political Science Association Annual Meeting. San Francisco: American Political Science Association. Stryker, R. S., Danielson, J. T., & Conway, B. (2015, September). Who is More Tolerant of Political Incivility? The Role of Gender, Partisanship and Media Use . We presented this paper at the American Political Science Association meetings in September, 2015 and then revised it for journal submission (see below for where submitted). r journal submission,. This is one of a series of papers I am writing with graduate students based on the Civility, Politics and Media Survey we conducted in 2012-2013. We have revised this paper for journal submission based on the feedback we received at the 2015 American Political Science Association meetings and are submitting it to American Politics Research. Frederico, K., Reynolds-Stenson, H., & Stryker, R. S. (2014, August). Family Responsibilities Discrimination: Institutional Intermediaries and The Transformation of Meaning across Overlapping Organizational Fields . American Sociological Association Annual Meetings 2014. San Francisco: American Sociological Association. Stryker, R. S. (2014, May 31). Methods Cafe: Historical and Comparative Methods . 50th Annual Meeting of the Law and Society Association. Minneapolis, Minnesota: Law and Society Association. This is a session I conduct every year at Law and Society Association as part of its Methods Café. I serve as an empirical methods consultant for those who want to do socio-legal research involving historical or comparative methods. Stryker, R. S. (2014, May 31). Taking Stock 50 Years after the Coterminous Enactment of the Civil Rights Act and the Founding of the Law and Society Association . Law and Society 50th Annual Meeting. Minneapolis, Minnesota: Law and Society Association. This was an invited inter-disciplinary panel session organized by political scientist of law Michael McCann. Stryker, R. S., & Pedriana, N. (2014, August 29-30). Effects-based Civil Rights Law: Comparing US Voting Rights, Equal Employment Opportunity and Fair Housing Legislation . New Legal Realism 10th Anniversary Conference: New Directions in Legal Empiricism. University of California-Irvine: American Bar Foundation and University of California-Irvine School of Law. This was an invited inter-disciplinary conference. I was invited and did the presentation. Stryker, R. S., & Stryker, S. (2014, November 11-13, 2014). Is Mead's Framework Still Sound? . Conference on Identity. University of California-Riverside: University of California-Riverside and Kent State University. This was an invited conference presentation and the paper presented will be included in an edited volume on Identity Theory, edited by Jan Stets and RIchard Serpe. Dad and I both attended the conference. I did the presentation. Stryker, R. S., Conway, B., & Danielson, J. T. (2014, November 18-22). What is Political Incivility . Presented in 'Top Papers in Political Communication," National Communication Association Annual Meetings. Chicago: National Communication Association. Pedriana, N., & Stryker, R. S. (2013, July). Effects-based Civil Rights Law . Society for the Advancement of Socio-Economics Annual Meeting. Madrid: Society for the Advancement of Socio-Economics. Stryker, R. S. (2013, August). Rights, Law and Inequality . Thematic Session, American Sociological Association Annual Meetings 2013. New York: American Sociological Association. I organized and was part of this invited thematic panel. Stryker, R. S. (2013, December). Law, Politics and Economy: Effects-Based Civil Rights Law in Global Context . Faculty of Social and Political Sciences Seminar, Universita degli Studi, Milan, Italy. Milian, Italy: Universita degli Studi, Milano. Stryker, R. S. (2013, December). Professional Development and the American Job Market . Professional Development Workshop, Universita degli Studi, Milan, Italy. Milan, Italy: Faculty of Social and Political Sciences, Universita degli Studi, MIlan, Italy. Stryker, R. S. (2013, December). Rapport sur la these de Vincent-Arnaud Chappe . Soutenance de These de Vincent-Arnaud Chappe. Ecole Normale Superieure de Cachan: Ecole Normale Superieure de Cachan, France. Stryker, R. S. (2013, December). Seminaire sur les discriminations . Special Event: Seminar by Robin Stryker, Sciences-Po and EHESS, Paris. Paris: Sciences-Po and EHESS, Paris. Stryker, R. S. (2013, May-June). Economic, Social and Cultural Rights . Law and Society Association Annual Meeting 2013. Boson: Law and Society Association. Stryker, R. S. (2013, May-June). Mechanisms of Legal Effect . Law & Society Association Annual Meeting, Public Health Law Research Network. Boston: Law and Society Association. Stryker, R. S. (2013, October). Comparing US Voting, Equal Employment Opportunity and Fair Housing Legislation . Research Seminar, Rogers College of Law. 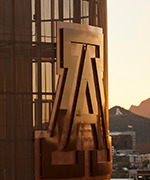 Rogers College of Law, Tucson, Arizona: Rogers College of Law. Stryker, R. S., & Pedriana, N. (2013, May-June). Effects-based Civil Rights Law . Law and Society Association Annual Meetings. Boston: Law & Society Association. Stryker, R. S., & Stryker, R. S. (2013, December). La Coproduction Droit et Non-discrimination Americaine . La Journee d'Etudes ISIS, Paris Saclay. Stryker, R. S. (2012, 2012-08-01). Is There a Politics of Law or a Legality of Politics? . American Sociological Association Annual Meetings 2012. Denver, Colorado. Stryker, R. S. (2012, 2012-09-01). Can We Talk? Civil Discourse in a Partisan Era . National Institute for Civil Discourse Forum. Rogers College of Law. Stryker, R. S. (2012, 2013-08-01). Civility and Incivility in American Politics . American Sociological Association 2012 Annual Meetings. Denver, Colorado. Stryker, R. S., & Pedriana, N. (2012, 2012-06-01). 'Effects-based Civil Rights Law: Comparing US Voting Rights, Equal Employment Opportunity and Fair Housing Legislation . "L'Etat des Droits: Practiques des droits dans l'action publique" (The State of Rights, Rights Practices in Action), Conference organized by Pierre-Yves Baudet and Anne Reveillard, CERAL et Paris du Nord, Paris, June 25-26, 2012. Paris, France. Stryker, R. S., & Pedriana, N. (2012, 2012-11-01). Effects-based Civil Rights Laws: Comparing Voting Rights, Equal Employment Opportunity and Fair Housing Legislation . Rights and Their Translation into Practice: Toward a Synthetic Framework 2 (Civil and Political Rights). Rogers College of Law, Tucson. Stryker, R. S. (2011, 2011-02-01). Author Meets Critics: Frank Dobbin's Inventing Equal Opportunity . Eastern Sociological Society Annual Meeting. Boston, MA. Stryker, R. S. (2011, 2011-02-01). Social Determinants of Health: What's Law Got to Do with It? . Robert Johnson Wood Foundation Public Health Law Research Program Annual Grantees Meeting. Arizona State University, Phoenix, Arizona. Stryker, R. S. (2011, 2011-03-01). Regulation of the Workplace: The Co-Production of Law and Science . MIT-Harvard Economic Sociology Series, Harvard University. Stryker, R. S. (2011, 2011-04-01). The Co-Production of Law and Science . Harvard-MIT Economic Sociology Seminar, Harvard University, Cambridge, Massachusetts.. Cambridge, Massachusetts: Harvard and MIT. Stryker, R. S. (2011, 2011-05-01). Research Mission: Presentation to National Institute for Civil Discourse Working Board . Meeting of the Working Board of the National Institute for Civil Discourse. Providence Building, downtown Tucson. Stryker, R. S. (2011, 2011-05-01). The Politics and Legal Culture of American Anti-Discrimination Law . Ă‰cole des Hautes Ă‰tudes en Sciences Sociales (EHESS), Paris, France. Stryker, R. S. (2011, 2011-05-01). The Politics of Rights: Half Empty or Half Full? . La Justice en Action: Journee d'Etudes Stuart Scheingold. Paris, France. Stryker, R. S. (2011, 2011-08-01). New Directions in the Sociology of Law . American Sociological Association Annual Meeting. Las Vegas, Nevada. Stryker, R. S. (2011, 2011-08-01). Social Science Evidence and the Wal-Mart Controversy . American Sociological Association. Las Vegas. Stryker, R. S. (2011, June). A Political-Institutional Approach to Law and the Economy . Seminar on Law and the Economy, Centre Maurice Hallbwachs, Paris France. Centre Maurice Halbwachs, Paris, France: Centre Maurice Halbwachs. Stryker, R. S. (2011, June). Competing Institutional Logics and the Co-Production of Law and Science . Seminar on Competing Instituitonal Logics, Sciences-Po, Paris. Paris, France: Sciences Po. Frank Dobbin also did a presentation at this seminar. Stryker, R. S. (2011, June). Political-Instituitonal Approach to Law . Seminar on Law and Society, Paris-13, Villetaneuse, France. Villetaneuse, France: Paris-13. Stryker, R. S. (2011, May). EHESS Seminars I and 2: The Politics and Legal Culture of Anti-Discrimination Law . Stryker Seminar, Ecole des Hautes Etudes en Sciences Sociales, Paris, France.. Paris: Ecole des Hautes Etudes en Sciences Sociales. Stryker, R. S., & Milward, B. (2011, 2011-09-01). National Institute of Civil Discourse Faculty Convening . National Institute for Civil Discourse. University of Arizona Student Union Memorial Center. Stryker, R. S., Danielson, J. T., & Schrank, Z. (2011, July). Equal Employment Opportunity, Affirmative Action and the Social Construction of Merit . Conference Paper for Panel titled The Social Construction of Merit, Society for the Advancement of Socio-Economics,Madrid. Stryker, R. S. (2010, 2010-03-01). Discussant. Mini-Conference on Work, Power and Inequality . Eastern Sociological Society. Boston, Massachusetts. Stryker, R. S. (2009, 2009-04-01). Archival Research . Presented as part of Qualitative Methods Workshop Series, Department of Sociology, University of Arizona. Tucson, AZ: Department of Sociology, University of Arizona. Stryker, R. S., Docka-Filipek, D., & Wald, P. (2009, 2009-07-01). Mutual Construction of Employment Discrimination Law and the Science of Industial Psychology . 21st Annual Meeting, Society for the Advancement of Socio-Economics. Sciences-Po, Paris,: Society for the Advancement of Socio-Economics. Stryker, R. S. (2008, 2008-02-01). Comments on Papers by Green and Kalev, and by Still . Conference on the Role of Stereotyping and Implicit Bias Research in Family Responsibilities Discrimiantion. University of California-Hastings Law School, San Francisco. Stryker, R. S. (2008, 2008-04-01). Maximizing Law's Effectiveness in Reducing Discrimination . Discrimination at Work, Radcliffe Exploratory Seminar. Radcliffe Institute of Advanced Study. Stryker, R. S. (2008, 2008-08-01). The Role of Social Science in Legal Regulation of the Workplace . American Sociological Association annual meeting. Boston. Stryker, R. S. (2008, 2008-10-01). At the Interface of Law, Business Organizations and Social Science: Industrial Psychologists Shape the Meaning and Impact of US Employment Discrimination Law . Conference on Law and Regulation of Economic Activities. ENS-Cachan/Paris. Stryker, R. S. (2008, 2008-11-01). At the Interface of Law, Business Organizations and Social Science: Indusrial Psychologists Shape thej Meaning and Impact of Employment Discrimination Law . Conference of the Discoveries of the Discrimination Research Group. Stanford Law School. Stryker, R. S., Eliason, S., & Tranby, E. (2008, 2008-03-01). Family Policies and Women's Labor Market Participation . Social Policy in the New Europe: The Experience of Austria and the Smaller EU Countries. Center for Austrian Studies, University of Minnesota. Stryker, R. S. (2017. Review of Rights on Trial: How Workplace Discrimination Law Perpetuates Inequality, by Ellen Berrey, Robert Nelson and Laura Beth Nielson. Social Forces (online) Doi: 10.1093/sf/sox097. Stryker, R. S. (2014. Review of Documenting Desegregation: Race and Gender Segregation in Private Employment since the Civil Rights Act, by Kevin Stainback and Donald Tomaskovic-Devey. Stryker, R. S. (2010. Review of Inventing Equal Opportunity, by Frank Dobbin(pp 508-511). Aministrative Science Quarterly 55 (September). Stryker, R. S. (2010. Review of The Fifth Freedom: Jobs, Politics and Civil Rights in the United States, 1941-1972 by Anthony S. Chen(pp 886-888). Law & Society Review 44 (3-4): 886-888. Stryker, R. S. (2009. Review of Disrupting Science: Social Movements, American Scientists and the Politics of the Military 1945-1875 by Kelly Moore(pp 280-281). Contemporary Sociology 28 (May):280-281. Stryker, R. S. (2016, January 21-22). National Research Council Roundtable on the Application of Social Science and Behavioral Research. Stryker, R. S. (2015, December). Research Director. National Institute for Civil Discourse. Faculty Research Liaison, National Institute for Civil Discourse, beginning in March 2011. In 2012, I became the Research Director for the National Institute for Civil Discourse. I completed my Research Directorship in December, 2015. Stryker, R. S. (2015, January). Invited Participant, National Academy of Sciences' National Research Council Roundtable on the Application of Social and Behavioral Sciences Research. National Academy of Sciences. This is an ongoing project of the National Academy of Sciences, bringing together roundtable panelists from academia, the media, politics and business to promote high quality communication and application of the social and behavioral sciences.We are organized into working groups to plan various events and produce products related to effective social science communication, use in policy making, by industry and the public. Currently, I am especially involved in two initiatives, one to promote effective institutional networks and aggregation of social and behavioral science knowledge, the other to promote the use of quality social science at the state and community level. This includes university-community engagement partnerships. Stryker, R. S. (2015, July). Invited Participant, National Academy of Science's National Research Council Roundtable on the Application of the Social and Behavioral Sciences. National Academy of Sciences. This was the second workshop in a series that will continue through at least 2017. Stryker, R. S., Whitham, M., Conway, B., Danielson, J. T., & Schrank, Z. (2015, Fall). Ongoing focus group study of comedy news. Stryker, R. S., & Lukensmeyer, C. (2014, October 9-11). National Institute for Civil Discourse National Research Convening:. Summary of convening included in NICD Research web pages.. In my capacity as Research Director of the National Institute for Civil Discourse, I co-hosted and facilitated this national, inter-disciplinary research convening with NICD Executive Director Carolyn Lukensmeyer. I made several presentations during this three day meeting. Stryker, R. S. (2013, January). Law Without Politics? The State Without Law? Unthinkable. Amici, Newsketter of the Sociology of Law Section of the AMerican Sociological Association, pp. 18-22. Stryker, R. S. (2013, January). Re-Interpreting Freedom: Obama's Second Inaugural Address. States, Power and Societies: Newsletter of the Political Sociology Section of the American Sociological Association. Stryker, R. S. (2011, May-June). Visiting Professor, Ecole des Hautes Etudes en Sciences Sociales, Paris.. EHESS Seminars. Visiting Professor, Ecole des Hautes Etudes en Sciences Sociales, Paris. http://www2.asanet.org/sectionpolitic/ENews.htmlSolicited by Newsletter Editor Kathleen Swartzman for a symposium on regulation.